I used to romanticize the prospect of being an old man. I thought it would be kind of sweet, I guess, to meander in the park, sit and watch the young people, think kind thoughts. What never really occurred to me, though, was the cost growing older exacts. Of course, there’s the obvious: It hurts. No, I mean, like real physical pain. Not only can I not do all the things I used to do, when I try to do them, I do things to my body that require ice and heat and a steady supply of Motrin. My body breaks easier and heals slower. I can’t get used to the thought that I can’t just do what I want to do, while my body responds with a minimum amount of whinging. My knees, elbows, and shoulders are no longer so much joints as bus stops where old men congregate to complain about the weather and sit and laugh at the foolishness of young men. I’m not yet fifty (stop your eye-rolling), so I know this is only going to get worse … and I’m actually in pretty good shape. But perhaps even worse than the physical pain associated with the cracking and popping, is the psychological pain of knowing your body is in the process of betraying you. And I don’t mean just a casual betrayal like a sprained ankle or an unsightly blemish; I’m talking about my body joining the other side and fighting against me. I’ve walked around with this body for almost a half century. It used to treat me pretty well, all things considered. It took me where I wanted to go about as fast as I could want to get there. And when we arrived, my body and me, I felt pretty good about the vehicle I drove up in. It worked about as hard as I needed for it to work. It refueled on just about anything at hand: Twinkies, pizza, and M&Ms. I trusted it, and it did well by me. But lately, I’ve noticed a lack of trust. And it would be one thing if it just quit working the way it used to, but I’m worried that my body is turning Benedict Arnold on me. I think about the fact that my body sometimes is actively trying to kill me. My dad died of prostate cancer, two of my grandparents died of colon cancer. Their bodies manufactured their own ingenious smart bombs—then deployed those smart bombs against their lifelong hosts. That, it seems to me, is a a colossal lack of gratitude. It’s a tough thought that we human beings often manufacture our own organic assassins, which, of course, doesn’t even take into account the numberless external hit men looking to take a crack at punching our tickets. Congregations face the same kinds of threats from aging. Their eyesight dims, and their hearing goes. They totter. They sometimes become enthralled with the ecclesiastical equivalent of Lawrence Welk, sport liturgical polyester wash ‘n wear, and drool on their shirt fronts. It happens. Unlike human beings, however, for whom a gym membership and a frequent flyer card at the plastic surgeon is merely an attempt at forestalling the inevitable, congregations, in some, instances can actually rejuvenate. The problem, though, is that aging congregations (not unlike their human counterparts) tend to cling to a few misplaced snake oil cures they bought off late night infomercials on cable. And it’s not like the remedies are necessarily toxic on their own, unless they are invested with the expectation of having magic powers. Look, I’m not saying any of these things are evil (well, I have opinions on a couple of them). What I am saying, however, is that if you get snookered into thinking that any of these cure-alls will solve your aging problems, you’re only going to be disappointed. My advice: Don’t try to handle it at all. Complain about it a little bit like normal grown ups do, then move onto something more interesting. If avoiding growing old becomes the focus of your life (actual or congregational), you’re going to wind up looking like Joan Rivers after one too many trips to the plastic surgeon’s office—a bit too pinched, like something will crack and fall off if you laugh at a dirty joke. How about this? Why not try worrying about how most faithfully to live like Jesus—the guy who lived so much it killed him anyway? Bonus: We're Easter People! So take heart. Maybe God will do something interesting with you. I hate the term “church shopping.” Shopping implies casual browsing, sampling, purchasing, consuming, returning and exchanging, etc. I know that you have been brought up in a consumer culture, and this is the language you are used to. You want to find the right church like you want to find the right pair of shoes: you want to make sure they are a good fit, and that they feel on the inside as good as they look on the outside. You want to find the church that feeds your needs, your desires, what you imagine church should be. And if your desires are not being met, if you are not being filled, you will move along. Unfortunately, for many churches in the United States, they have also bought into the consumer culture. They try to put on a good show to feed your entertainment needs as well as your spiritual needs, but often the spiritual need they fill is to make you feel good about yourself. We all like to feel good. But at times we also need to be challenged and have a kick in the pants when we are not doing our part to help the poor and the oppressed around us. Sometimes the mainline liberal church has bought into the consumer culture as well. Sometimes we use phrases like “social justice” and “missional” as catch phrases to lure you in to doing work in the community to help others, but we aren’t always good about it. Sometimes we are helping ourselves. Sometimes we don’t listen to the needs of the community and continue to do the same things we have always done rather than meeting the needs of those around us. Sometimes what we are doing is not social, is not justice, and is not about serving others. Sometimes the church has used bait and switch tactics, without realizing it. Church is not the pastor. Church is not the building. Church is the people, the body of Christ, coming together to be one. We shouldn’t be church because the building is pretty. We shouldn’t be church because the pastor is inspiring. We should be church because we recognize that we are the body, together, and we have need of each other. And our money shouldn’t be the most important thing—whether it is our individual giving or the church budget. Sometimes, I think the real problem in all of this is that we have given money power over all of us. That is consumer culture in a nutshell. So please, stop shopping. Join a church community and belong. Of course that might take a little time finding—there is something to be said about theology and mission that connects you—but don’t go for a while and then leave because you hope to find something better elsewhere. Become part of the community. Belong to one another. Be the church. (And churches, let’s be the church, too. Let’s stop trying to show up one another. Let’s actually focus outward to do that social justice thing in being part of God’s beloved community on earth. Let’s worry less about entertaining and feeling good, and more about being the church together, beyond our building’s walls). Be the body. Belong. Become. I can quickly tell you my favorite parts of worship: communion, the pastoral prayer, times of meditation and silence. Even though I don’t attend a church that regularly practices this, I even find significance in a unified confession of sin and an assurance of pardon. While there are some elements of worship that I question or have difficulties with, none of them parallel the problems I have with the typical understanding of the invitation to discipleship. The offer to make a public confession of faith, otherwise known as the “alter call,” has been at the end of every service of the three churches I have been involved with. I didn’t pay it much mind when I was growing up; if anything, I thought it to be a slight embarrassment or heartache for my pastor, who saw the invitation come back to her empty on average fifty-one weeks out of the year. When I began leading worship services a predicament emerged. The invitation to discipleship was not only awkward due to the fifty-one rule, but increasingly painful to perform. To cope with my uneasiness, I tried to wrap the time at the end of the service as a catch-all for any need—confess your faith, receive additional prayer, take a seventh inning stretch, or snap a picture with the boy preacher, come on down, you’re the next contestant on The Price is Right! The core of my discomfort was the feeling that the invitation to discipleship was either about peddling heaven or growing church membership. Either way, I felt like a dishonest used car salesman. I was growing convinced that intellectual affirmation is not a definition of Christian identity and I was especially convinced that maintaining official church membership is a bizarre exercise to keep. But I began wondering if the emphasis of the practice was wrong. I separated the two words “invitation” and “discipleship” and considered what this phrase could mean if it were reconstructed without the overtones of sinner’s prayers, televangelists, crusades, and hellfire. When Jesus calls Simon and Andrew to be disciples, he uses the evocative language of: “Follow me and I will make you fish for people” (Mt 4:19, Mk 1:17; New Revised Standard Version). In both cases the two left their nets immediately and began following Jesus to seek out people in need of holy healing, love, and rejuvenation. Jesus did not say “make a statement of affirmation which will cause you to be saved,” or “shake the right hand of Christian fellowship and be a card-carrying member of my church.” Jesus said, “Follow me.” Taking Jesus up on his offer puts the invitee in a labor that redeems people—hands on, dirty, sweaty, heartbreaking work. This invitation to discipleship received by Simon and Andrew had teeth and meaning and the threat of hardship. It was not a social formality, it was a life-changing choice. It was the invitation to come and die, it was the opportunity to live life abundantly (albeit not by traditional metrics). This invitation—one of life-altering work and service—is one I need, and closer to what Jesus may have been intending. This is the invitation to fish for people, not only despite, but because of the unspeakable evil we see in this world, such as: racial terrorism, insatiable greed, disregard for God’s creation, and the mistreatment of children. If we call this time in worship an “invitation to discipleship,” then it is time that the church recognizes and lives into the depth and richness of what these words truly mean. This Way of Jesus is not an inherently easy way to live and inviting people into such a life may have lower response rates than the traditional confession of faith. I see this in my own life. It is not personally advantageous to speak out against white male privilege. It is not convenient to live a life of sacrificial love. It is not heartwarming to face poverty and brokenness and be virtually powerless to halt the cycles that cause it. But it’s this difficulty in living the Way that demands we recall and restate our devotion every week. The renewal of our vow to live ordinary lives extraordinarily has to be bolstered often. The other day I'm cruising down the highway listening to the "Frozen" soundtrack (don't judge, my three year old was in the car with me) when I run over something hard and metallic, which, of course, blew out one of my front tires. This was not the first time this has happened since moving to Oklahoma, so my level of frustration was higher than it probably should have been as I maneuvered my poor car off the highway and over to the shoulder. I had just begun the process of unpacking all the needed items to change out the tire when an old, beat-up minivan pulls up behind me. "Great," I thought, "This is how most horror movies begin." I needn't have been concerned, however, because out of that van stepped an older gentleman who simply needed to know if I needed any help with the car. After thanking him and telling him that I thought I could handle it, we got to talking for a few minutes. Seeing as how I was rather preoccupied with the tire, this man did most of the questioning. "Are you from around here?" (Yes) While pointing to my son in the back seat, "Is this your only child?" (No) And then this question came, "Are you a Christian?" After telling him yes and that my wife and I were in fact, both pastors. He smiled and replied, "Well, I'm glad I stopped." He then got back into his van and drove away. It was an awkward end to an otherwise (given the circumstances) pleasant exchange. In the few days since that event, I have been thinking more about that conversation and his desire to know if I proclaimed myself as a follower of Jesus. What would his response been had I answered otherwise? Would the same offer to help had been extended if I had professed allegiance to another faith (or no faith at all)? Was there an intention present all along to evangelize a young(ish) broken down traveler? The truth of the matter is, I have no idea and will never have a way of knowing. All I know is that I am grateful for his willingness to stop and help, and now as I continue to think back on that exchange there on the side of the highway, I realize why the ending of that conversation seems so perplexing to me; I never would have thought to inquire about the religious beliefs of a person I had just met. As I came to that understanding, I also realized that I cannot remember the last time (if ever) I have actually inquired about anyone's religious affiliation, regardless of the circumstances. In my ten-plus years in ministry, I do not think the words, "Are you a Christian" have ever passed through my lips. Once this light dawned on me, I thought to myself, "I might be the world's worst evangelist." To be fair, I come by my evangelistic inadequacies honestly. As a life-long member of the Christian Church (Disciples of Christ) I am part of a tradition that tends to shy away from that sort of on-the-spot questioning. As a tried and true introvert, I tend to prefer to be left to my own devices and assume that most others do as well. Who are you to question me? Who am I to question you? Finally, and this perhaps is the biggest influence concerning my lack of desire in being considered an "evangelist," I have rarely seen evangelism, at least in it's traditional, culturally accepted form, done well. I have memories of being in seminary and having people hand out tracts in downtown Ft. Worth and telling me that my seminary education made me less of a Christian, I can remember people walking around with giant crosses slung over their shoulders, yelling at me to "repent" (again in Ft. Worth), and here in Oklahoma City there is a giant billboard on the side of one of our highways asking us the question, "If you die tonight: Heaven or Hell?" A week or two ago I found a Bible tract strategically placed on the toilet paper dispenser at Starbucks (really?). Even on a more personal level, there have been plenty of times when, in the midst of the conversations with other Christians, the topic of religious beliefs came up, the message I have gotten over and over is that if I don't adhere to their particular flavor of Christianity, then I AM in fact, less of a Christian. So as I think about how I may in fact hold the title for World's Worst Evangelist, I realize that if I am being compared to some of the methods I just described, than I am perfectly okay with that title. Because, you know what? None of the above methods even come close to describing the path that I followed to get to a place in my life where I proclaim myself as a follower of Jesus. Never after hearing someone yell at me to "repent" have I been moved to go a different direction. Never after seeing a billboard or hearing a talking head on television talk to me about buying into their brand of "fire insurance" have I felt myself drawn closer to Jesus. And there isn't a pamphlet or tract that has ever (or ever will be) printed that will cause my spirit to connect with the Spirit of the Divine. As a matter of fact, as I think about my own faith journey, I do not have the slightest clue who it was who first told me about Jesus. Honestly, I have no idea who it was who "evangelized" me. It might have been a minister, it might have been my parents or grandparents, I don't know. What I do know is that I have a very clear memory of all those throughout my life who have walked with me and shown me what it means to live like Jesus. To me, this is what evangelism is anyway. Evangelism cannot be and thankfully is not "peddling" Jesus like we would vacuum cleaners or carpet cleaning services. It is seeking to embody the life Jesus calls us to live. It's doing our best to live in the manner he did and inspiring those around us to attempt to do likewise. Jesus never asked the question, "Are you a Jew?" or told those of a different belief system to change their understanding before he would join them on the journey. It did not matter if the one whom Jesus encountered was a Jew, a Samaritan, or even a Roman, He loved and served unconditionally, with grace, humility, compassion, and perhaps most importantly, respect. The way of Jesus does not translate well to a billboard or a tract, but that's okay, it was never meant to. It won't sell many books or promote too many political campaigns (but imagine if it did). The way of Jesus is meant to be embodied in and among all God's beautiful creation. I am thankful to all those who have come into my life who have shown me The Way, not through words, but through a listening ear, a hug, a shoulder to cry on, and the demonstrated desire to walk with me on this journey. This is the kind of evangelism in which I desire to engage. And come to think of it, I'm not all that great at this kind, either. But walking with, loving, respecting, and listening to my fellow human beings sounds like something I'd much prefer to continue to improve. May 14, 2014 in Christianity, Community, Congregational Transformation, evangelism, Leadership, ministry, spirituality, what next? As she poured me a drink, she asked me, “Are you really a pastor?” I smiled and nodded to the bartender. Only two of us regulars made it for our Pub Theology at a new location tonight, but along with the bartender and a few others who happened to frequent here, we had a great discussion about what it means to live out one’s faith. We didn’t talk specifics about church, and it wasn’t until I brought up Matthew 25 as a discussion point that we even got into the Bible or Jesus, but we had church tonight. I lift this up as an example of church unboxed. I think that in church talk, we are quick to make assumptions about the “unchurched.” We make assumptions about those who have no church or religious affiliation. We assume we haven’t done a good job of selling the church message, or haven’t done a good job of raising our kids, or that we aren’t preaching the Gospel. Our assumptions also lead us to call people who have no affiliation “unchurched,” which is an unfortunate term based on the assumption that “churched” is the preferred category over “unchurched” (and I wrote about this last spring in “Becoming Unchurched”). Sure, lots of churches are doing Pub Theology and having Bible studies in coffee shops. But rather than trying to use these as avenues to get people into the church building, what if we were to already recognize the community that exists and meet them where they are at? What if pastors started to see themselves more as freelance ministers sent out from the church to be pastors to those who need spiritual support? What if our churches understood that an important part of our ministry was not to work to get people in on Sunday morning but to minister to people in their own communities? As I left tonight, a woman asked me to pray for her. I was happy to do so. I also tipped the bartender very well because I wanted her to know I appreciated and valued the service she gave as well as her interest in what I do. What can you do to unbox church? This isn’t to say to stop having worship on Sunday mornings and go into the coffee shops and bars, but what can you do to minister to those outside of your box? What can you do to meet people where they are at and be the presence of Jesus among others? Can we unbox our assumptions that people do not have community or are in need of specific church community? December 18, 2013 in Congregational Transformation, Community, church growth, evangelism, Leadership, what next? It is cold and dark, and my December schedule is very full. So I have been daydreaming of riding my motorcycle. There has not been time for a relaxing therapeutic ride this month. So I do the next best thing: meditate on the lessons I have learned on such rides. The one I want to share was a late afternoon ride that I was taking on dirt roads outside of town. I was about 30 miles out of town when I decided to turn back and take the state highway home. I got up to speed, and I noticed a lack of power. I was certain there was something wrong with the engine, to keep the speed at 75 (or so) with the throttle all the way open. There must be something wrong with the engine the way I was losing power in a consistent and steady way. I decided I should just limp to town on less power. I then saw a small country gas station and had a desire for a cola, so I lifted off the throttle and rolled onto the dirt. I dismounted and saw my back tire was going flat from large puncture. I was wrong. I was so wrong, that if I went on my assumption further the tire would have started shredding. I was very glad I was wrong. Many churches (or individuals) are very certain they know what is wrong. For example, I was having coffee last week and overheard a group from a church talking about what they needed to do to attract younger people. I had heard every suggestion that I have heard before at the various churches I or friends have served. Most of the ideas were not new, but they were certain that they would work if they could implement them correctly. I do have to admit I could hear the tire shredding when one said, “We could attract young people if we change the time of the Board meeting, we should ask them what time.” Oh yes, I start following Jesus, but it is because of the Board meeting’s time that keeps me from a particular church. I see the ditch coming quickly. I was certain my lack of horsepower was due to the engine, but because I listened to my gut, I stopped (and I was thirsty). I did not really know until I stopped. I avoided the ditch, and I was very happy to be wrong. As I took off my helmet, I had no idea how I would get home. I went into the country gas station and bought the cola. The clerk at the counter looked for a plug and came out to see if we could plug the tire. He only had one and it was certainly for a smaller hole. However, with a little work with the reamer, a lighter, and the last plug he had, we got the hole filled. Once pumped up the tire hissed slightly, and I pulled out onto the highway. I must admit I was nervous as I got up to speed. I made sure I observed and checked that I was making progress. Sure enough I got to the motorcycle shop in town. They came up to the bike and before they saw the makeshift patch they could hear hissing tire. Often churches add programs to what they had been doing for years, as if these programs will draw people in not just for that new program but to fulfill what they know as church. My motorcycle lesson suggests we need to stop, and see where we are wrong, before we end up in the ditch. If we figure out what we do not know and where we are wrong, we can perhaps with the help of a consultant or other observer, we will continue on the journey. We may not be confident it is safe, nor should we be, but our success is found in our ability to share vulnerability. Most churches end up attempting to jump the shark, with all their baggage weighing them down, rather than doing the hard work down on your knees in the dirt with a lighter and a plug, new friends and a lot of faith and vulnerability, to bring the Gospel to town. I am pretty sure Jonah and Paul were not motorcyclists, but both had been shown by God that they were wrong. It would be wonderful if we could have such certainty, but honestly I believe it is because we cannot not see or hear over our own certainty of being correct. However, will we respond as Jonah, or as Paul? Will we whine about losing our own construction of God, or will we enjoy being wrong for God. As you probably know, Christmas doesn’t begin until December 25th, but it doesn’t end there, either. In the Christian tradition, Christmas lasts twelve days (December 25th through January 5th), and then we celebrate Epiphany on January 6th. However, most of our American/Western culture started celebrating Christmas the day after Thanksgiving and the trees and decorations are down on December 26th. Most radio stations stop playing Christmas music on December 25th, and the Christmas specials and movies end their airtime on TV that day as well. Satellite radio will at least go through New Year’s Eve and most businesses will keep their decorations up until then, but that’s it. Most people do not know about the Twelve Days of Christmas besides the song. Advent is a wonderful season, and Advent calendars for children are a great way to learn about waiting for Christmas. Advent devotionals are a great way for families or just adults to spend time reflecting on what the Incarnation means to them. Many churches write their own Advent devotionals with activities to do as a family during this season. But after December 25th, there is nothing. Seeing how, at least in the United States, most children are out of school for two weeks (almost the entire Christmas season itself), I am proposing we do more to acknowledge and celebrate the twelve days of Christmas. I will be writing a devotional with activities for families—both children and adults—to reflect on the meaning of Christmas and to spend time together. Plus, let’s face it—the novelty of new toys wears off in a few days and the whole second week of vacation can be spent counting down the hours and minutes until school starts again (at least from a parent’s point of view). As a parent of a child with special needs, the break in routine and regular schedules can also be difficult to navigate—one or two days is fine; two weeks seems like two months. And while this is a great idea to take up time while school is out, it’s more than that—this can be a time to acknowledge, celebrate and respond to the Incarnation in our very homes and daily lives. The Incarnation gets swept away in the cultural celebrations of Christmas and New Year’s Eve. Even in the life of the church, the first Sunday of Christmas is often a Sunday with low attendance, carol-sings, guest preachers or other special activities. The following Sunday is often Epiphany Sunday or looking at the New Year. We end up missing the Incarnation that we waited all Advent to celebrate. So I will be putting together a Twelve Days of Christmas Calendar on my website, http://rev-o-lution.org, along with some activities before Christmas to help prepare (and to take up those few days of no school before Christmas) and will conclude with Epiphany. In the meantime, think of how you might mark the Incarnation rather than just recycling your wrapping paper (although that is a good idea). Celebrate the Incarnation not just in worship on Christmas Eve, but in your daily practice. Don't let Christmas be overshadowed by the busy-ness of Advent. As tired as we clergy may be, we also need to remember God's entry into this world in a new way. We all too easily let Christmas fade away after December 25th. I hope we don't this time. August 14, 2013 in Christianity, Congregational Transformation, Community, evangelism, Leadership, what next? This post originally appeared on Edge Pieces, the blog for Open Gathering, a new Disciples of Christ Church plant on July 9th, 2013. It has been adapted slightly for [D]mergent for a wider audience. One of the concerns I have as a pastor, and a parent of a child with special needs, is bringing spirituality into AJ’s daily life. As for many parents, church can be hard work. Sometimes people at church do not understand and can make church an unwelcoming place for those with special needs, who cannot sit still or stay silent. Sometimes sensory issues make it difficult to attend worship, and sometimes the older buildings are not fully accessible to those who have mobility needs. Traditional church, because it is only once a week and not every day like school or other activities, and it is not primarily focused on a specific person like once-a-week therapy sessions are, can be difficult to add into one’s weekly routine. We know many families for whom going to church is such a struggle, they do not even bother. While I am at Open Gathering now, I also serve a small church in Burien, WA. AJ goes to church most Sunday mornings with me to Burien Community Church. When I was not serving as a pastor when we lived in Oklahoma, I was able to sit with him and try to help him understand the order of service—now we stand, now we sing, now we sit quietly and pray, etc. Routine for many children with special needs is important, and in many of our church worship services, we can establish a routine more easily as the service usually follows the same format every Sunday. I no longer am able to sit with AJ every Sunday morning as I am pastoring a church now, but I still try to help him understand the routine. Because I cannot sit with him, sometimes he only understands the greeting time, and I let him use his iPad to stay quiet in the pew until the Children’s Message. But he understands the routine: he puts the iPad down and comes to sit next to me on the chancel steps. Then after the prayer, he can run down the aisle to the back and go downstairs for Children’s Church at my church in Burien. But at home, spirituality is just as important. We try to model that God is in our lives everywhere, not just at church. Church is often just one day a week, and while we may be at the building during the week at other times, we do not have the same routine there. So at home, we at least say prayers every night, something I have been doing with AJ since he moved from a crib to a bed. We read a book, and I try to read a child’s prayer book or baby Bible as the last story, then I say a simple prayer but fold his hands as well, and I close my eyes. Then I tuck him in. During Advent, we began a routine of lighting the Advent Candles at home every night and doing a short reading and prayer. We did this at the dinner table so AJ was already sitting. We made sure the TV was off and no other distractions were on. It was a nice ritual of quiet time and reflection for our family during the Advent Season, but it also introduced something new for AJ. While I’m sure he didn’t understand the complete significance of it, he seemed to enjoy us sitting together and lighting candles. Routine is important for many children with special needs. Establishing a spiritual routine, just like establishing a hygiene routine or any other practice takes practice. Some families say grace before meals, and that is another wonderful (and traditional) way to introduce spiritual practice in the home. Because our routine is simple and not a long list in a printed bulletin, Open Gathering is more readily accessible to those with special needs because it becomes familiar more quickly. We also have fewer “rules.” People are invited to dance and move as needed or desired during the Music time. During the Wondering time, we are invited to sit closer for the story, then during work we can sit or stand or move about as necessary. We gather at the Table again for the end. We are invited to pray together, sometimes to sit together, but we are also invited to be ourselves. Church leaders, there are many different ways to do worship. Perhaps you can inspire others to begin a spiritual routine at home, establishing a semblance of spiritual life that works for them and their family’s unique needs. Perhaps there are families who simply are not able to attend worship due to unique needs or work schedules, but maybe there is still a way to reach out and include others by inviting them to begin a spiritual routine at home. "We need all kinds of thinkers." My husband and I had the opportunity to hear Temple Grandin speak last week. Temple is, of course, probably one of the most famous people with autism that we know of today, but as Temple shared, many also suspect people such as Albert Einstein and Steve Jobs had undiagnosed autism. Albert Einstein did not speak until the age of three, and Steve Jobs had few friends and was socially awkward as a child and youth. While Temple has contributed much to our more current understandings of how people live in the world with autism, I was reminded that she is one person, with one set of experiences, and that as parent of a child with autism our experience and our son’s experience is different. Her experience has taught her that sometimes the rest of us try to make it too easy and we don’t challenge our children enough. Perhaps there is some wisdom in that; maybe we do make it too easy at times. However, I am again reminded that is her opinion from her experience, and that we knew little about autism when she was a child. While we still don’t know as much, we do know that intensive therapies such as speech-language and behavioral therapy can go a long way in helping a child with autism achieve access to education as “typically developing” children do today. We have had to think differently about how we care and educate children with autism, and we are continuing to do so. But what I took away from Temple’s speech was that “We need all kinds of thinkers.” She thinks in pictures. She did not do well in math, especially algebra, but she is known for her incredible, creative designs for cattle farmers because she drew them out in elaborate detail. She sees things in pictures. While many of us start at the top with a large concept and work our way through a problem by breaking it down into smaller pieces, she starts with the smaller pieces. She thinks differently. And many people living with autism do. Steve Jobs , as she shared, started by dreaming of an interface that was easy to use. He didn’t start with trying to figure out how to develop the software to do it—he left that to the engineers. In the church, we need all kinds of thinkers. We need dreamers who dream of the church differently, out-of-the-box, along with the people who work on the ideas and ministries that help us to move into the new church concept. All too often, we are still working from the old concept, and we expect the pastor to do it all. We are not working out of the box, we are instead looking at the old concept of church and breaking down into smaller pieces: Christian education, outreach, programs, Bible Study, Youth ministry, etc. I have seen way too many churches think if they just hire a new Youth Minister everything will change for the good, or if they just try a new program for Young Adults they will change. But the truth is they aren’t looking for that kind of change—they are looking to fix one small problem without seeing the larger picture: the church they once knew is dying. Or dead. Or just completely outdated and irrelevant. And the pastor often gets blamed when the change does not occur (as expected). We need all kinds of thinkers. We need dreamers and imaginers and organizers and planners. We need to go back to vision and purpose: who do we imagine God desires us to be as the church? Are we fulfilling that dream and vision, or are we fulfilling a plan of the past, an old model that doesn’t mean the same thing anymore? How can we think out of the box in this world, today? More importantly, how can we use all kinds of thinkers? How can we bring in the doubters and the strugglers, the ones who don’t know (and perhaps don’t care too much) about our denominational identity along with the cradle churchgoers? Or, to think even more outside of the box, how do we go out and be the church with all of these? We need all kinds of thinkers. This isn’t easy to do, but we need to let go of the old models of programs and staff configurations and even building maintenance to move into a model of being the church as Christ’s Body. The church, since even the early days, has been challenged to think outside of the box. In many ways, this isn’t something new. It’s just time to dream it up again, and to include the dreamers who might think about church differently than you. It’s not enough to include a token young adult or youth on a committee; a church needs to engage communities of youth and young adults and actually desire to build a relationship. It’s not enough to say “Let’s have a program for young families to get them into the church;” a church needs to think outside the box and look at the greater picture: are we really a child-friendly church? Are we welcoming of children who may cry or run around? Do we provide child care? Do we care if children eat all the cookies at coffee hour? And are we welcoming of non-traditional families? How do we include families whose children may live with another parent and only attend on occasion? It’s time to think outside the box, and to do that, we’re going to need some help. We’re going to need all kinds of thinkers. I carry these two prayers with me into my ministry. There are plenty of days when I want to run. When the umpteenth person calls or rings the doorbell to tell me they are down on their luck, need gas money or food money, and how they can’t get help from social services for one reason or another or they are just short until the end of the month and will pay me back. When a church member tells me of all the problems they are facing: relationship struggles, financial struggles, mental health struggles, and it all just seems too much for them to bear and now I have been drawn in. When someone calls and is mad about the church lights being left on one night, or a building user is upset because the piano was moved, or something is broken or missing and immediately another group is blamed for it. I want to run. I want to run instead of going into the hospital room to face the family that is not ready to see their loved one go and just believes if we say the right prayer God will answer. I want to run when the alcoholic parent tries one more time to make amends and set their life straight and wants me to try to talk to their estranged family. I want to run when I’m told once again we’re behind in the budget and we’re going to have to cut something. I want to run. But I pray that prayer, breathe, and go on. Sometimes I go rather slowly, but I go on, by the help of God, I go on. And then I pray that second prayer. I shut my mouth when I am tempted to give the easy answer. When someone tells me their personal struggles with faith and with the church I listen. When the waitress at the diner tells me about her faith journey I listen. When the elderly woman goes on and on about her dogs as if they were her children I listen. I listen because it’s the most important thing I can do. I listen when the pastor in the next town calls me up to try to get me on board with a movement I don’t agree with. I listen when a man tells me how I can’t be a pastor because I’m a woman. I listen when the person laughs that I am a minister and tells me what’s wrong with organized religion. I listen because it’s not only what I’m called to do, but I pray for the strength to do it. In my time as a pastor, I have found that one of the most precious gifts we can give to those in need is of our time and of our ears to listen. I have also learned for those who have axes to grind that listening is one of the most disarming things we can do. I’m not advocating for listening and taking in hate speech, but for someone who is looking for an argument, a person who simply listens can dissipate the intensity. Sometimes even listening can change someone’s mind. When I was a CPE intern that summer, I was called to a room on a floor that never called in the chaplains, even laughed when we checked at the front desk. But this morning I was called in because a patient had requested spiritual support. But it turned out she had not. What had happened was that she was a talker and the nurses were tired. And it also turned out she was an atheist and the last person she wanted to see was a chaplain (the nurses had failed to mention to her that they had requested the chaplain nor bothered to ask her if she wanted the visit). But she did turn out to be a talker, and so I prayed for the strength to listen. I maybe got in 5 sentences in 2 hours of conversation. But by the time they were taking her away for tests, she asked me to pray with her, and so I did. When I returned the next day she had been discharged, but I believe that was one of the most powerful days as a chaplain. I simply listened. And I carry those prayers with me on days like today, where I listened to the diner patrons complain about daylight savings time and the government. I prayed not to run when someone called me about a difficult conversation they needed to have with me. I prayed to listen instead, and I believe it went well. February 20, 2013 in church growth, Community, Congregational Transformation, discipleship, ethics, evangelism, Leadership, ministry, Missional, what next? I’m going to begin by saying I don’t have the answers to this. I’ve been thinking about this since I started at this church in September, even before I began, and still haven’t come up with an answer. How do we practice stewardship better with limited resources? Facts: few people give 10% of their income anymore. I know I don’t, and can’t, with the amount of student loan debt, healthcare expenses and other things that have been added into my life. I’d like to give 10% and strive to get closer to that amount, but I can’t right now. In larger congregations, traditional stewardship campaigns may work, but I bet they don’t work as well as they used to. While you may have a greater pool of people who can give ten percent or more, it’s not the same as it once was. In smaller congregations, the pool of course is much smaller. And there are income demographics to take into consideration. I currently serve a small church, with most folks on a fixed income (retired) or two-income households that still struggle to make ends meet. Most young adults in my congregation still live at home and/or depend upon their parents for childcare or other help. So what are our options, as income shrinks and operating expenses grow? Some churches have opted to sell the building. This is a great option for those who can go through the process. It is difficult. So many have memories that intertwine “church” with “building” and it is hard to let go. I have now seen a number of congregations who have sold their building and moved into rental situations or have purchased much smaller, more efficient buildings for their ministries and they are thriving. Still others are meeting in more communal settings such as malls, schools, community centers, and bars. Operating expenses are down, plus they have a nice financial cushion for the period afterwards. For churches that aren’t in commercial locations, however, this can be a challenge. Crunching the numbers, it may not be a great financial decision in the long run—short-term needs will be met, but longer term needs are set aside. There is, of course, the option of renting space. Most churches (in fact, I think all of the mainline Protestant churches I know if in the area) rent space to other groups. We already do so. What happens then is that one owns a building one cannot use except for the previously reserved times and dates. As ministry is moving back out of the building and into the community, this isn’t necessarily a bad thing, but churches end up in the tenant/landlord business which isn’t always good business or good ministry. I have seen some great models of this relationship where the church building has become more of a community center. It can work, but it can be difficult as well. I think, however, the question still needs to be asked of stewardship. What does stewardship look like in the 21st century? Is it always about tithing or giving money? What else does stewardship mean? I have always thought of stewardship as taking care of the gifts God has given us. Gifts such as finances, but also our time, our prayers, and our gifts. Stewardship needs to have a holistic approach. Those who cannot give much financially maybe give more of their time. We all know that one person in the church who does so much—they aren’t always the biggest givers financially but they are the biggest givers of themselves. There are also those you know who are praying for you and the church. They are giving much of their spiritual gifts and energy. We need to find ways of cultivating those gifts and honoring those who give out of what they have. But we still need to talk about money, and it’s not easy. Some are repulsed by the thought of churches talking about money, especially pastors talking about money from the pulpit. This hasn’t changed—if anything, it’s become more difficult as the gap between the rich and the poor increases. There are those who cannot afford to give and those who don’t believe they should have to give because they can afford it. As I stated before, I don’t have the answers. But I do believe we have to change the way we think about stewardship. It’s beyond money, and yet still includes money. It is beyond the giving of our individual gifts but it includes all that we can give, individually and collectively. It involves the questions of how we use our buildings and whether it’s time to rent or sell our buildings. It also involves the question of what is our purpose and vision and are we needed anymore? The questions about continuing on or closing are also difficult. My small church is choosing to continue on, casting a new vision and generating new ideas and dreams for the church. There is a lot of great energy here. And yet, a church twice our size decided to close due to dwindling numbers. Are we fools for thinking we can go on? Or are we dreamers with a lot of faith? I think we may be a little of both. How are you addressing stewardship in your congregation? How are you rethinking your ministries? How are you rethinking the purpose of having a building? How are you rethinking your church? For newer congregations, how are you addressing stewardship? I am sure you know stories of miscommunications, which would have made the writers of “Three’s Company” consider them, but these miscommunications within the same language are frustrating. This is what happens in Christianity often, and we assume we are speaking the same language. Let me remind you that English on both sides of the pond works well, even if their petrol pedal is on the opposite side of the vehicle. So why do some Christians that I know shy away from certain words in our tradition? Evangelism, salvation, righteousness, sacrifice, etc. are example words that I sense have been dropped from many pastors’ lexicon. I understand there are strong connotations, for some of these words do require careful use out of the Body of Christ, the church. For instance, I will not go and greet someone by saying, “Hi I am from my Church’s evangelism team, and I want to make sure you understand the sacrifice Jesus made for the world’s salvation from violence, and we try to live a righteous life, so I hope you join us for worship.” There is way too much baggage in those terms, and I am very aware of that. You may say we need to reclaim the terms--I know I have said that myself. Upon reflection, that attitude demonstrates defining my Christianity against another. I just need to use the terms as I have learned from Biblical and theological study, while being aware when I am talking to those that know only the fundamentalists or media’s language of Christianity. Let us be comfortable with our own speech. If we are comfortable with our language, we are able to answer the questions and hang in there in dialogue with other Christians who are using a language that seems “foreign.” I know there are people filled with hate using that language, and I do not recommend anything but a smile and prayer for those individuals, but I have seen time and again Christians that explored the deeper and complex meaning of our traditional key words--they may talk the talk, but they also certainly walk the walk. The best way to be comfortable is to use these terms without apology, while knowing these same words will have different meanings to other Christians. Hopefully, we will find each other at the same table drinking from the same chalice or cup. Sometimes I get disillusioned with “the church.” I hear stories of people who were run out, who were gossiped about, who were hurt by the very people who were supposed to love them. I hear of pastors who were treated like the sole employee with their boss being a board of 15 who criticized every decision the pastor made, every minute of the pastor’s time and every breath or sigh taken during the sermon. I hear stories of bully pulpits and sanctuaries where children were definitely not welcome. There have been times when I have been down about “the church.” I become very critical of an organization that can perpetuate myth in tradition, that runs on models outdated and yet expects the pastor to be a miracle worker. I have been hurt by people in my churches in the past. I have been hurt as a guest by a pastor using their pulpit to instill fear and justify their own narrow beliefs. I have been hurt by the things said casually about other people, even in general terms, that were degrading to certain groups of people that happen to be who my family is made up of. It breaks my heart. But rarely do I try to encourage them to go back. Sometimes the damage is too great. Instead, I always encourage them to continue on the spiritual journey. And my hope and prayer is that perhaps they will find their way back to the church. But me, as clergy, as a direct representative of the institution that has harmed them, I don’t feel it is my place to tell them to come back. I wouldn’t tell the victim of domestic abuse to go back to the person who has abused them. But I would tell them they can love again, that in time, perhaps they can trust again. The same I would say to those abused by “the church.” I would encourage them to continue on their spiritual journey, and my hope is that they would find a loving, supportive, embracing community. I love the Church, the Body of Christ described by Paul in 1 Corinthians 12. I don’t love all manifestations of the church. But I love what it is supposed to be. The church is supposed to be the place where you feel you are a part of the Body of Christ. You are valuable. You are significant. Your gifts are useful and necessary. You have an important part to play in the whole body’s function. You are part of the family. You are loved, exactly as you are, exactly as you were made by God. You can come with your wounds and hurts and find comfort and strength. You can come with your worries and fears and find courage. You can come with your grief and find some ease. You come and find your burdens are born by others, your joys are shared by others. Thankfully, I have experienced the church as this: the body of Christ. I realize it is hard for me to say this as clergy and have any clout beyond that, but before I was a minister, I loved the church. As a teen, the church was where I was welcomed and embraced and encouraged in my call to ministry. As a child, the church was where I was included and loved just as I was. It saddens me when people throw the baby out with the bathwater. Whereas I understand completely how individuals, even groups of people have been hurt by the church and have left, I am grieved that there are people calling for the end of the church. I do believe the church is changing, dying even, but with death there is always the hope of resurrection—something new. It may look completely different than it is now. But my hope and prayer is that the church—whatever it is—will be the Body of Christ. All too often I have friends who claim to be spiritual but not religious—who want nothing to do with church. Fine. I actually have no problem with that because the “church” they are rejecting I would reject as well, a place where people are harmed rather than healed. But it is when my friends go to nothing—there is no faith community, no gathering of people to talk about spirituality or God or whatever—when there is just an absence, this is where I grieve. I’m not talking about those who have rejected those things and have gone to atheism (that is a different kind of grieving for me, I will admit), but for those friends who rejected the church of their childhood and are raising children, and they tell me they want their children to have the values they were taught but not in the church, and don’t know where to turn—I grieve for them. I grieve for the ones who want to talk about spirituality and faith but feel they have no place to go. And I grieve for the ones who simply ridicule those of us who stayed in the church. I have friends among them all. But I know one person, who once described his return to church after a twenty-year absence as a “homecoming.” He walked in the doors and was immediately greeted. Someone came to his seat and welcomed him. The people shook his hands and shared their names and made him feel comfortable. The preacher shared a message of hope. The songs were uplifting. And communion was shared with all as a welcome to Christ’s table. This is the beauty of the church, that for all the shortcomings of the earthly “church” (and as I used to say, the problem with churches is that they are full of people! ), there are some who will find their way home again, and find the love, grace, peace and joy that we expect to be there. A post by Nathan Hill. In ministry, sometimes the best things are those you stumble upon by accident. My story has been about “third spaces,” places that are not church and not home. They are neutral territories, out in the community, where intersections between strangers and guests happen a little freer than the guarded walls of our sacred gardens. "Third spaces” offer safety for everyone in shared conversation. Since no one is in their home or sanctuary, power is a little more balanced. The only person one can remove from the conversation is themselves. I can point to many “third spaces” that have shaped my faith - bars, restaurants, coffee shops, parks, and museums. These backdrops have served up conversations, lectures, questions, and experiences that have shifted my perspectives and probed my faith. I’ve made friends who might have otherwise been enemies. I’ve been the cool kid among the outcasts and the outcast among the cool kids. I didn’t discover “third spaces” by reading books or understanding theory. Instead, I sort of fell into it with some roomies who were interested in getting out and making connections in an unfamiliar city. Our effort grew bit by bit, as our little organic web stretched itself with each new person attracted or caught by the pull for community. Some people came once and left. Others were regulars. And none of that mattered, because we didn’t own anything. The space sort of belonged to everyone. Jesus used “third spaces” all the time. Whether it was the town’s literal watering hole, distant mountainside, industrious beach, dusty roads, or city gates, he met people where they were. Like the woman at the well, he struck up conversations that intrigued, shocked, and delighted. There seemed to be something about Jesus that let others know it was okay to ask questions. He seemed to like having to stop and say, “Who touched me?” Jesus spent more time out and about his countryside, ranging far and wide, than within the walls of the temple. If churches are serious about engaging their neighborhood in conversation, Jesus and the “third space” seems to point one way forward. Church buildings offer a lot of positives as far as a secure, comfortable space for conversation and privacy, but neighbors don’t have x-ray vision. Our community around us cannot see what we are up to. 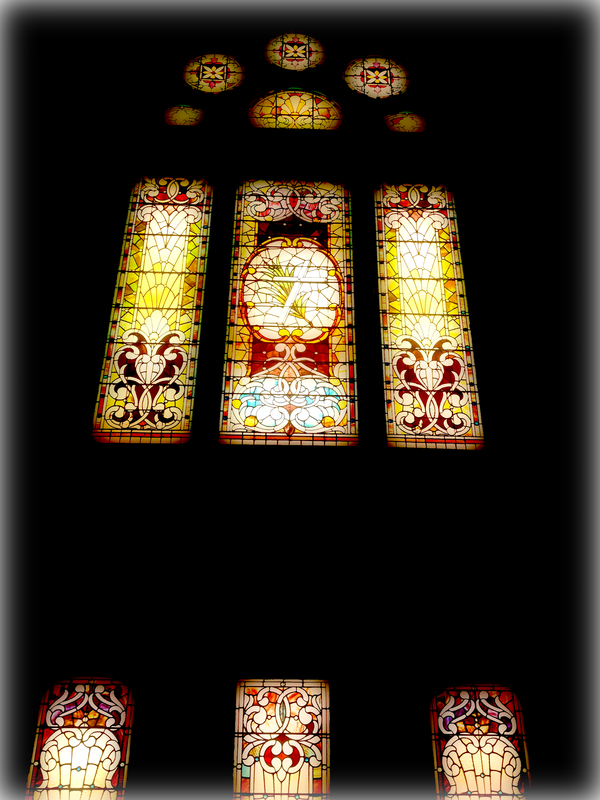 Third spaces open up windows not just for others to see the church but for the church to see others. At East Dallas Christian Church, I continue to be blessed to do ministry in third spaces. Our regular Tuesday evening pub ministry provides that kind of neutral space for regular churchgoers and non-churchgoers to intersect and talk about big and little questions. It’s surprisingly simple and effective ministry. 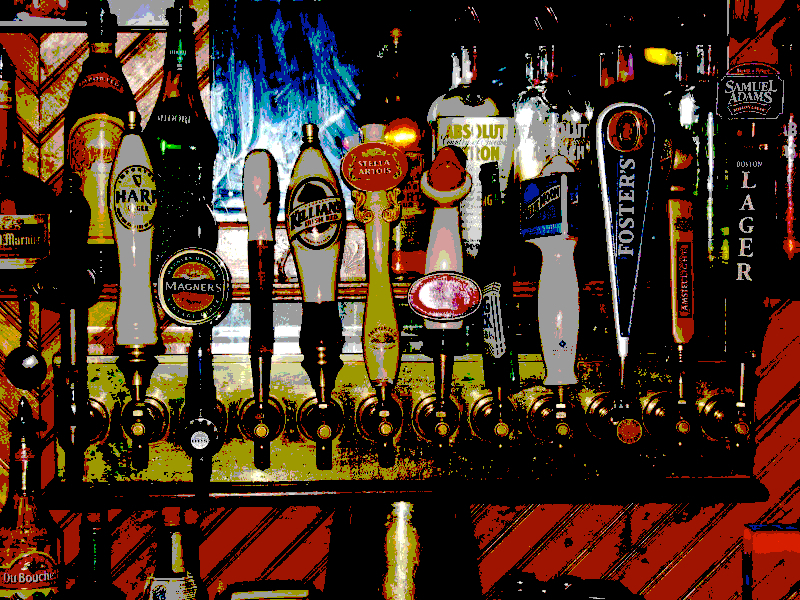 It’s easy to invite people, because it’s at a pub with great pizza and cold drinks. If the conversation isn’t your cup of tea, the delicious pizza and local beer mean you’re still going to have a decent evening. On the other hand, inviting people to worship can be like inviting someone to take a stroll through a minefield - no matter how hospitable you are, watch where you step! Why not meet folks who are new to your church and your faith halfway? Why not see what your neighbors are talking about? Why not celebrate new restaurants and gathering places in your city? You may just stumble on Jesus while you’re out. Pastor of Christ’s Church, Anywhere, USA: "Hey, Derek! How's it going? I've seen what you guys are doing at your church. I want you to know how much I appreciate the work y'all are doing with the LGBT community. The church needs to wake up on this issue." Me: "Thanks. I really appreciate that." Pastor: "Well, I don’t think it’s the right time for us. Unfortunately, having that conversation now is liable to call down a firestorm." Me: "Yeah, maybe one of these days." You will perhaps, dear reader, recognize the format from a previous article. It seems to me, though, that this a good way to begin an analysis of that conversation. I can't tell you how many times I have had that conversation. These are pastors who, on an individual level, believe that LGBTQ people ought to be welcomed into the life of the church without any qualification of the kinds of ministry or service in which they might engage. That is to say, these pastors are sympathetic to the idea of Open and Affirming as a move the church needs to make â¦ some day down the road. They're "just not there yet." If "we're just not there yet" describes your congregation, this post is for you. Let me preface what I'm about to say with a nod toward the difficulty of negotiating the pastoral waters. All churches are different, but they share enough in common that I know what Iâm about to say is a difficult word to hear. Pastors have to take into consideration a number of factors, not least of which is their livelihoods. As someone who very nearly lost his first job out of seminary over this very issue, and who had to leave another job over some principles on which I thought it necessary to take a stand, I'm well aware of the treacherous waters in which pastors swim. Having offered that disclaimer, let me once again jump in with both feet. "I have to take the whole congregation into consideration ... not just those folks who agree with me." Whether or not it’s possible for parents to avoid having favorites, the analogy falls apart when it comes to one very crucial issue: This issue isn’t about liking one group of parishioners more than another—or even the appearance of liking one group more than another. This is an issue about faithfulness to what you understand to be the direction of God’s reign in this world, and your responsibility to point toward it. Ah, yes. Ok. Let me come at it a different way. If one of my children were to begin living in a way my wife and I were convinced was destructive, would the fact that another of my children pointed it out mean that I should ignore the destructive behavior—just so it didn’t appear as though I favored one child over the other? Isn’t there a sense in which keeping silent so as to avoid sibling rivalry ceases to be loving and becomes enabling? That is to say, isn’t speaking truthfully a prerequisite to true love even being a possibility? Point taken. However, I’m not sure it shakes out quite so easily as that. For one thing, pastors get paid to speak the truth … they don’t get paid to keep the peace, if by peace one means the maintenance of a theological DMZ. True peace, as I’ve stated before, is only possible where speaking the truth in love is a higher priority than preserving some mutually beneficial cease-fire. Being prophetic, though it can function as an altogether too difficult to decline invitation to self-righteousness, is part of the job. I’m not saying it’s easy; I’m just saying it’s necessary. Perhaps not. I suspect I do work in a different environment than many pastors. But please don’t be tempted to think that I operate in some blissful pastoral idyll. I still have to figure out which vocational hills are worth dying on—just like everybody else. Right. Conversations on whether or not a church should officially take on the identity, “Open and Affirming,” often seem to assume that only two groups have much interest in the fight—liberals and conservatives. Whatever decision you come to is guaranteed to make one side or another mad. As a result, what savvy pastors do is the utilitarian calculation about maximizing pleasure (in this case pleasure can be defined as the absence of pain). Making decisions based on what will anger the fewest number of people seems to keep the waters calmer. Unfortunately, one group that gets left out of the calculation are those people who might be interested in church, but who are scared away because of the perceived hostility to LGBTQ people. 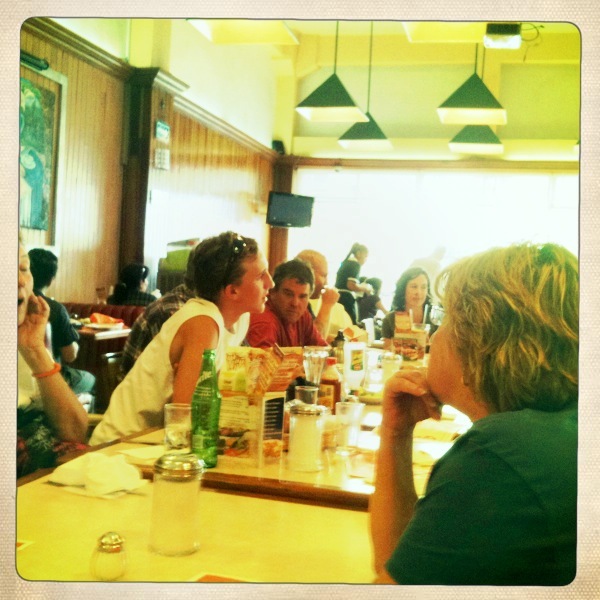 For whatever reason, it’s harder to take into consideration people who aren’t seated around the decision-making table. From the church’s standpoint, it’s difficult to consider the impact of decision-making that excludes people who don’t come anyway. You can’t lose what you don’t have, right? I want to suggest, though, that this failure to factor into decision-making people who love the idea of Jesus—whom they understand to offer an expansive welcome to everyone, but whose followers often cultivate the perception that purity ranks infinitely higher on the list of priorities than hospitalityâis one of the reasons young people are staying away from the church … in droves. According to research done a few years back by the Barna Group, an evangelical research firm, 91% of non-Christians age 16–29 believe that “anti-homosexual” is the term that best describes the church. Among church-going young people of the same age group, the number is only slightly better at 80%. That might be an important objection, except that the Barna Group probed the perception and found that “non-Christians and Christians explained that beyond their recognition that Christians oppose homosexuality, they believe that Christians show excessive contempt and unloving attitudes towards gays and lesbians.” The very group churches say they want to attractâdeclining mainline denominations in particularâhave already formed strong opinions about the church’s moral authority. That’s increasingly problematic. No. I’m saying that if you already believe in the acceptance and celebration of folks who are LGBTQ, but resist taking a public position on the issue for fear of alienating people, you need to realize that you’re alienating more and more people every day by not taking that stance. As I said before, if you think the whole LGBTQ issue is wrong tout court, you probably stopped reading a long time agoâsince my reflections are aimed at that already-convinced-but-not-ready-to-go-public segment of the church. Again, no. If you’ve already made the theological determination that LGBTQ people deserve to be received with hospitality in the church but haven’t made the decision to go public, all I’m saying is that refraining from taking a public position on the issue for fear that people will be alienated if you have the discussion, fails to take into account the fact that you’re already alienating another group of people by not having the discussion. Why not be just as afraid of losing people who aren’t part of the church yet as of the people who might decide to leave? At least in the case of the latter, chances are extremely high that people who leave because you’ve decided to make this decision publicly will find a new church home. In the case of the former, however, chances are they’ll never find a church home. Once again, I'll stipulate that it's difficult. It's hard, potentially-lose-your-job-and-your-friends kind of hard. I know. But you're a minister of the gospel of Jesus Christ; hard is what you do ... or, at least, it's what he did. I didn't make the map; I'm just telling you where I think it leads. 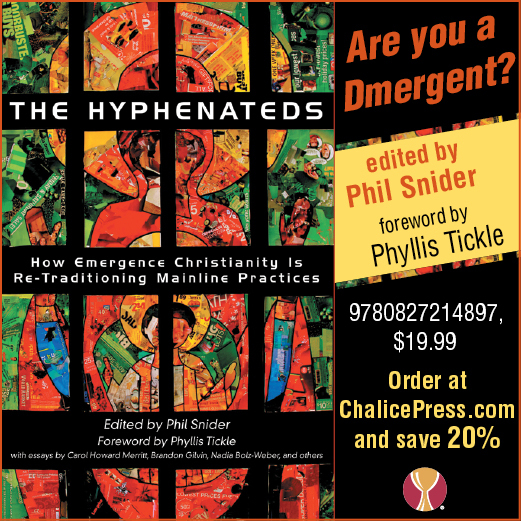 Check out The Hyphenateds, our new sponsor from Chalice Press, edited by [D]mergent contributor, Phil Snider. Can emergence Christianity help established denominations understand that radical transformation means more than a new worship service? When hearing complaints that church is irrelevant, can mainliners understand that reclaiming relevancy means more than changing meeting locations from church buildings to coffeeshops? Yes, say the writers of The Hyphenateds, as they show you how they've done it. Click on this link and buy the dang book! 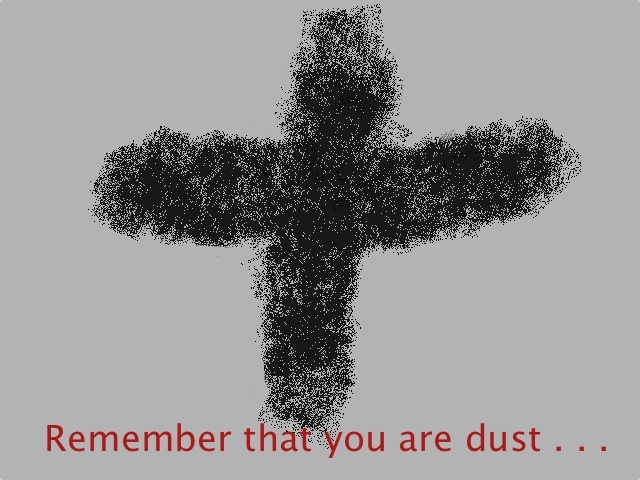 Lent begins today, the traditional 40 days (not including Sundays) of repentance and reflection. We hear the familiar words: journeying towards the cross, giving up something for Lent to help us draw closer to God, repenting where we have gone wrong, etc. Lent can be dark and depressing. But Lent can also be refreshing, a time for self-reflection, a time to deepen one’s faith. Many churches have turned away from the dreary darkness of Lent and the self-denial towards a brighter outlook—preparing for the resurrection, taking on a spiritual practice to deepen one’s relationship. Lent can be almost a joyous time, as the days get brighter and warmer and Easter approaches. This year, Lent falls in the heat of the election cycle. The language is getting more intense, the attacks have become personal, to the point of attacking our president’s own religious beliefs by make assumptions and declarations based simply on the fact that the president has a different viewpoint on an issue than a candidate. In our own local politics, at times we hear that real Christians vote with one political party and not the other. It is enough to make one’s head explode with rage or make my stomach turn over. However you look at Lent, it has traditionally been a time of self-introspection. As the political climate has become volatile, perhaps this year we might take the time of Lent to look inward. Do I allow my own anger and rage to consume my thoughts and actions? Do I take cheap shots and aim at others with the eye for an eye, tooth for a tooth mentality? Do I determine that all those who differ from me are truly evil, greedy, selfish and ignorant? Do I become the very thing that I detest in others? And maybe it’s time to look outward: how can I best model the life and ministry of Christ in my own actions? How can I stand up for the poor, the sick and uninsured, the immigrant, the suicidal teen, the imprisoned, the oppressed, without taking on the attributes of those who make my blood boil? This season of Lent, I hope that those of us who claim Christ and the name of Christian might look at how we are engaging the political sphere as followers and witnesses of Jesus. How can we uphold the inherit worth and dignity of all persons, even those who would not include us in the faith? How can we speak out on matters of justice authentically without taking on the rage and insults that often accompany political discussion? It is hard to be authentic and be consistent with our faith and action. The disciples couldn’t cut it. Peter followed Jesus throughout his ministry only to draw a sword in the garden and then desert Jesus when he was arrested. So we shouldn’t feel too awful when we fail to follow through all the time. But we should strive to minister in the way Christ ministered to others—to be concerned about people more than issues, doing right more than “being right,” and proclaiming the Good News (the Gospel) instead of judgment and condemnation. And this Lent, as the political rhetoric at times makes me want to vomit, I am reminded that beyond the cross is the Resurrection. We will get through this. We will make it to the promised hope. We will see the New Life promised by Christ. And we have this promise now—it is up to us to live into that New Life here on earth. It does us no good to become just like those we disagree with when their actions don't follow up to how Jesus ministered, but in following Jesus, we are shown the better Way. We can either live in the darkness and ashes, or we can do our part to live into the resurrection. It’s a myth. Young adults do not come back to church because they have kids. They do not come back just so their children can be taught the same values they received. Oh, that is what they will tell you. Young parents will say it. Experts will swear to it, but don’t believe them. In reality, they don’t have words for the deep longing that draws them back. If they are honest, they return out of a hunger to know and be known. They long for authenticity rather than excuses and compromises. They long for a life where dreams are not forgotten and hope abounds. Some respond to the hunger on their own. Others need to see the way their children play, dream, believe and build relationships to remind them of all that was lost along the way. In various venues, Mark Yaconelli has shared a definition of “adult” written by youth. “Adults have no friends. Adults have no passions. Adults are stressed out.” This is truer than we want it to be. Somehow on the path to adulthood we make more sacrifices and compromises than we realize. There are compromises in relationships, with God, and even with ourselves that we are not aware of. Over time, we long for what has been lost but we struggle to define what is missing. So, we take our children to church and hope they can find the stale bread-crumbs we left behind. We hope they will lead us back to the faith that once defined us. We hope they will lead us back to a relationship with God that once fulfilled us. Our polarized culture tries to narrow faith down to a set of beliefs or doctrines that are easy to measure, define, and articulate. Many young adults have taken those very beliefs and doctrines home with them and decided to try “home-churching” for a while. As long as we believe the right things and don’t say the wrong things, what is the point of church? Right?!? Wrong! Soon, a grumbling in the gut starts to echo. It grows till an inward groan swells up inside us. Not surprisingly, it is our children who most easily find their place in the church. They sit at the feet of storytellers and wonder at the Gospel message. They see other people for who they really are and develop mutually vulnerable relationships. Meanwhile, mom and dad (too often just mom by herself) are putting their big toe in the water to make sure it won’t cost them too much or challenge too much of the well manicured life they have constructed. Thank God, many young families have children when they come back to church or they would never open up enough to experience the faith they so desperately want. For those of us who fit into the 20-30 something (yes, I’m still there!) crowd, let’s try being honest, at least with ourselves. Let’s not just drop our kids off for Sunday School. Let’s ask the questions we never finished answering. Let’s explore the mysteries that still enthrall us. Let’s share the feelings that we have buried so deep inside. Let’s quit looking for the dried up bread crumbs of our childhood faith or dusting off the old warm fuzzy stack from camp in hopes that Jesus will pop out of them. Let’s dare to make faith a verb again and trust that whatever it changes in our lives will be worth the risk. Maybe our children will see faith alive in us and not be so quick to pawn their own faith along the way. The great crime against the Roman Empire by the early churchwas neither political opposition nor armed insurrection – it was much worse. The great crime of the early church was to ignore and sidestep the Empire proving that The Way of the Empire was not absolute making The Way of the Empire irrelevant. The Way of the Empire is piety, war, victory, peace the Emperor is Lord relational complexity relations as conquests and politics. The Way of the Empire is, for the individual, success or failure failure as poverty, hunger, nakedness, powerlessness, servitude, slavery, early death success as wealth, well-fed, fine clothing, political influence, military command, long life. The Way of the Empire is inevitable, inescapable, singular, myopic – there is no other way. The Way of the Good News is the personal and persistent unrestrained love and unconditional grace of God and the feeding quenching clothing healing visiting welcoming compassion and the reparative rehabilitating restorative justice of the Community and the inclusive hospitality and joyous generosity and healthy service of the Individual. The Way of the Good News is an earthly life of divine wisdom centered in the perpetual presence of God requiring no piety, no war, no conquests requiring no militant victories, no war-won war-worn peace requiring no Empire ignoring Empire responses, dismissing Empire demands making Empire expectations, attitudes, values, requirements irrelevant negating Empire culture, dismantling Empire government displacing The Way of the Empire with The Way of the Good News living fearlessly and simply and together as a sharing Community and a loving Family and a grace-full Kingdom of God. I am invited to commit the same great crime. The Way I choose is...?